Local Hilton Head and Bluffton, SC restaurants run the gamut from Mediterranean to four-star cuisine to down-home cooking. With owners and chefs from all over the world, the area’s vibrant restaurant scene goes well beyond its Southern roots. From fancy to no frills, the diverse Hilton Head Island dining scene offers something for everyone. You can expect the extraordinary here, whether it’s organic beef, seafood just off the boat, or desserts made before your eyes. 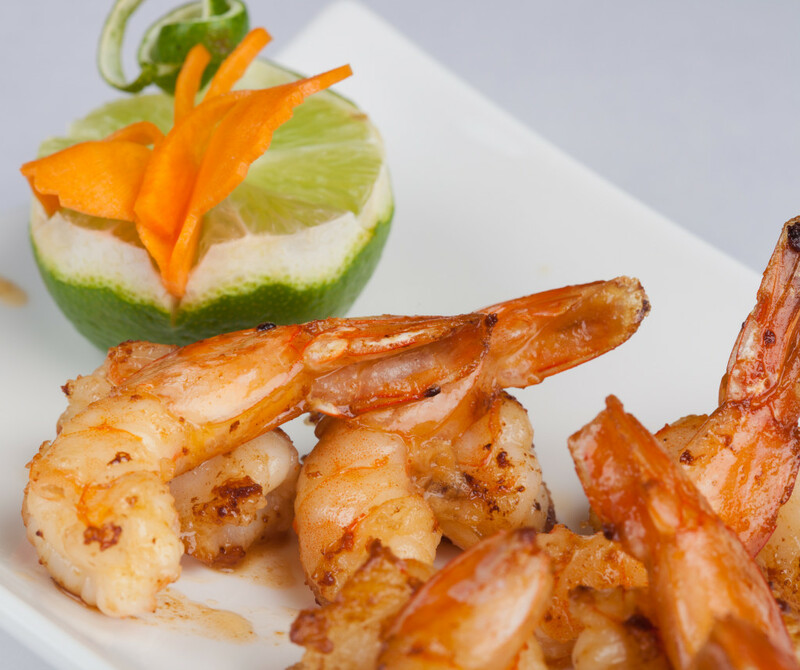 From American, to Continental, Italian, Asian, or Mexican, there’s something for everyone. One of the great pleasures of vacationing on Hilton Head Island is the opportunity to dine at a casual seafood house one night and at an elegant four-star restaurant the next. The countless number of restaurants in the area, at a variety of price points, is sure to please even the pickiest palate. Early fall and winter bring those highly prized bottom-dwellers, oysters, prepared any way you please at local Hilton Head restaurants. Offered year round is other locally caught seafood, the freshest you’ll find anywhere. The Southern staples – rice, corn and don’t forget grits – are combined with crab, clams and shrimp to create flavorful dishes influenced by the land. f oysters, shrimp and soft shell crabs from the day’s catch.tables feature extraordinary views A visit to the Lowcounty is an experience for all the senses – pull up a chair and enjoy this Island’s bounty! Attractive waterside restaurant in Palmetto Bay Marina. 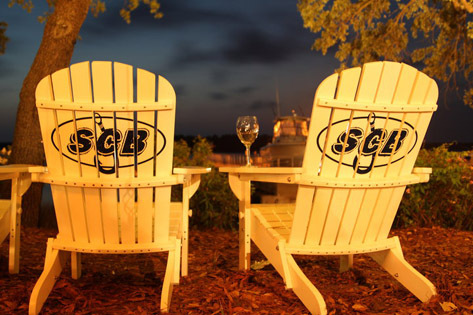 Patrons may choose to dine and/or enjoy libations indoors or outdoors with a view of Broad Creek. The Black Marlin serves the Island’s largest selection of fresh seafood, delicious hand cut steaks and frozen drinks. There are daily Fresh Catch Blackboard Features plus nightly specials that incorporate seasonal items purchased locally whenever possible. The Black Marlin serves lunch and dinner seven days a week. Voted Best Brunch on Hilton Head Island with a Make Your Own Bloody Mary bar. Ask about their happy our and early dining specials, offered every day. Step through the revolving door and into a swanky restaurant with all the style of the Rat Pack era. Big booths, soft lighting and snappy service will take you back to the 50’s & 60’s, and the big city lounges of Chicago, Las Vegas and New York. Their expansive Italian-American menu has something for everyone! 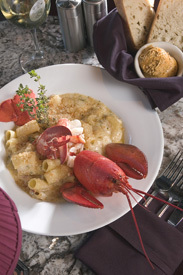 Specialty items include hand cut steaks such as their Signature Coffee Marinated Ribeye (voted Island’s Best Steak) and their Classic Slow Roasted Prime Rib, pork, chicken and veal dishes, fresh seafood, delicious pastas including Spaghetti and Meatballs, Veal Ravioli, and their Signature Lobster Mac and Cheese, flatbread pizzas, and house made desserts! 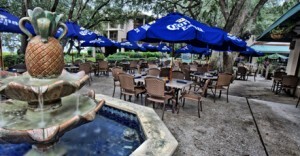 Their covered patio offers outdoor dining rain or shine. The lounge, with an attractive granite top bar, features classic and original martinis, as well as signature champagne Bellini’s. Their award-winning wine list includes both Italian and American whites and reds. Frankie’s serves both lunch and dinner seven days a week plus Sunday brunch, with continuous service throughout the afternoon. Be sure to ask about their popular Early Bird and Happy Hour. Excellent place for takeout. Children’s and Gluten-Free menus available. Frankie also offers full Catering Services. Recipient of numerous third party accolades over the years. 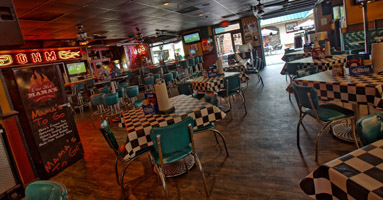 Giuseppi’s serves excellent, award-winning pizza (since 1981), plus a broad variety of well-prepared pastas, sandwiches, wings, garden fresh salads, and much more. Pasta selections include lasagna, spaghetti marinara, chicken parmesan, and ravioli. Various specials offered daily. Full service bars are available, great for catching the latest sports action. Open for lunch and dinner 7 days a week, happy hour from 3-6pm at the bar. Dine indoors or outside on their patio. Cary out, delivery and catering are available . Located on the scenic banks of Skull Creek, overlooking the Intracoastal Waterway and Pinckney Island Wildlife Preserve, Skull Creek Boathouse is something of a “Landmark Waterfront Restaurant.” Voted one of Travel and Leisure Magazine’s Top 30 Outdoor Bars in American,the Marker 13 Buoy Bar is a great meet and greet spot for locals and visitors alike. Complimentary Sunsets and Valet Parking are offered daily. Guests enjoy water views from every seat. Chef Brad Blake’s bountiful menu, very likely the most extensive menu in the area, provides a selection of items for both seafood and land lovers. Monthly Full Moon Parties with live music and themed parties are sure to leave you howling for more.Lunch is served Monday-Friday, 11:30am-4pm, and Saturday & Sunday, 11:00am-4pm. Dinner served Sunday-Thursday 4-10pm, Friday & Saturday 4-11pm. Weekend Brunch is served Saturday & Sunday, 10am-3pm with a Brunch Buffet on Sundays including a Make Your Own Omelette Station. Sunset Supper 4-5:45pm and Happy Hour from 4-7pm daily. Catering, takeout and a fun children’s menu are available. Unique to Hilton Head and the Lowcountry, WiseGuys has become known for their Small Plates, Big Wines and Serious Cocktails along with Signature Entrees and Steaks. WiseGuys takes cocktail-party dining to a new level, showcasing international flavors, globally inspired cuisine and strikingly exciting presentations. WiseGuys’ Signature Entrees feature amazing seafood creations and quality, hand-cut bone-in steaks aged a minimum of 28 days for maximum flavor and tenderness, offering a contemporary twist on the classic steakhouse. Their award winning wine list delivers over 150 specially selected bottles with more than 50 wines served by the glass. By using the Island’s first restaurant WineKeeper System, WiseGuys showcases and features 18 wines that are usually not available by the glass. Serious Cocktails are blended with hand-craftedhousemadeinfusions using only the freshest of seasonal fruits and premium spirits. WiseGuys invites you join them in their casual yet sophisticated atmosphere to sample their wines, savor their food and share their passion. 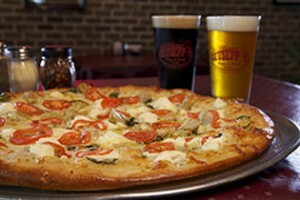 WiseGuys serves Sunday–Thursday 5pm-10pm and Friday and Saturday from 5pm-11pm. Happy Hour is served 5-7pm and 10-Midnight (25% off all Small Plates, Pizzettas, Cocktails, Wine, and Beer), Early Dining 5pm-5:45pm (25% off your entire check). Vegetarian, gluten free and children’s’ options available.Reservations recommended. The Lodge Craft Beer & Burger Bar is the Southeast’s premier Craft Beer Bar, voted “Best Place for Draft Beer” by Island Packet Readers Choice, “Best Bar” and “Beast Place for a Guys Night Out” by Hilton Head Monthly’s Readers Choice Awards, and rated “World Class” by BeerAdvocate. With 36 rotating taps and an extensive bar, The Lodge proves to be a popular spot. You can enjoy the best Craft Beers To Go in half gallon “Growlers.” Happy Hour Daily from 4-8pm. Billiards, shuffleboard and all of the lastest sports action on their screens. Full Late Night menu featuring Hilton Head Island’s best burgers and gourment grilled cheeses. For over 20 years Santa Fe Cafe has been the locals’ choice for authentic New Mexican food. With dishes ranging from our famous Grouper to Fajitas made with choice filet of beef tenderloin, to our Cowboy Cut Black Angus Bone-In Ribeye or even our Outrageous Chimichanga, we’re sure to have something to entice. When you step into Santa Fe Cafe, you step into the SouthWest. 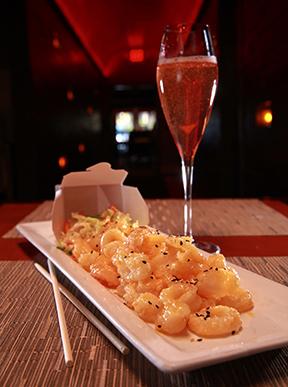 We offer many dinning options to make sure your night is unforgettable. Our main dining room surrounds you in candle lit adobe walls with a Chef’s Counter to watch your chef prepare your meal over the inviting smell of our mesquite grill.